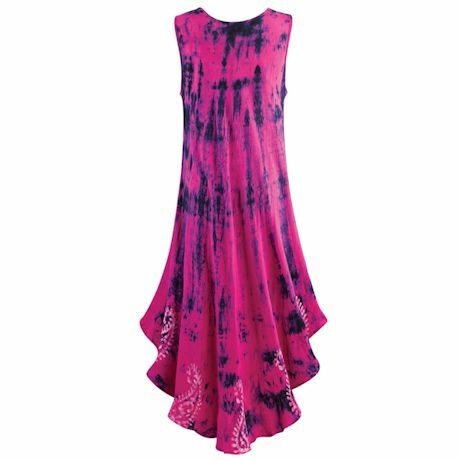 Turn up the heat with this vibrant, figure-skimming dress, with artistic tie-dye details and reversed-out paisleys around the ruffled low/high hemline. 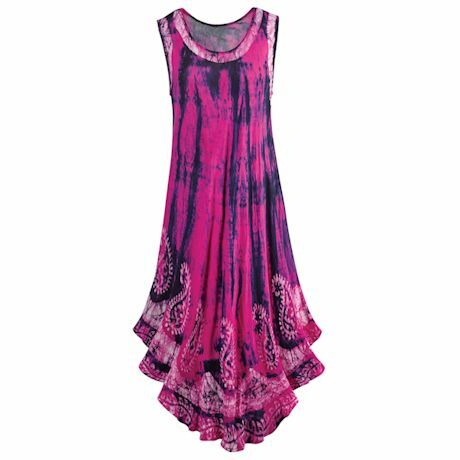 Machine wash. 100% viscose. Imported. S(6-8), M(10-12), L(14-16), XL(18), 1X(18W-20W), 2X(22W-24W), 3X(26W); 51"L.